I am a retired international flight attendant. My career spanned over 40 years; 13 with Pan Am and 30 with United Airlines. 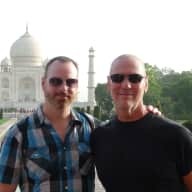 I spent over 4 decades caring for people who travel the world. After my retirement 3.5 years ago I decided to focus on my lifelong love of animals; I went to work volunteering for the Oregon Humane Society in Portland where I live with my partner of 26 years and our adorable 7 year-old Staffy-mix "Lola" and our sweet 3-year old Labrador "Axel". At OHS I work in the canine kennels and behavior modification. I am a team member of the Oregon Humane Society Technical Animal Rescue unit. We train monthly in climbing and techniques dedicated to rescuing animals in peril. I also work periodically for the ASPCA at their shelter facility in Ohio. I hold certificates of completion in ASPCA Field Incident Response training, Pet First Aid, FEMA "Animals in Disasters" training, and Large Animal Rescue as well as human First Aid, AED, and CPR. I will provide verification upon request. I can also provide a "verified volunteer" criminal background check should it be required. I keep fit in my retirement years going to the gym and cycling. I love riding my road bike; almost every day. My partner Edward and I are planning a "boat and bike" trip in Europe in July, 2019. While I enjoy my retirement endeavors I still love to travel and the experience of house and animal sitting abroad is perfect for me. As animal owners who travel my partner and I have retained many house/pet sitters and we are aware of the needs and concerns of home/pet owners. My involvement with the Humane Society and the ASPCA are demonstrative of my love of animals. I grew up on an island in Puget Sound and have had pets of all sorts since I was a young boy. I've also owned homes for nearly 40 years. I am familiar with the responsibilities that come with both. I have known Stefan for nearly 40 yrs. as flight attendants for Pan Am and then United. I can definitely say that the two passions in his life are animals and people. He is caring and reliable. I live in Australia and Stefan has visited me many times. My little Jack Russell would get so excited to see him and never leave his side while he was there. He has that way with animals. I have visited him and he takes pride in his home and everything is impeccable. This also includes his home away from home on layovers in hotels. I used to kid him how clean and organised he kept his room. I surely would entrust Stefan with my home and my animals. He surely would be an asset to your organization. We have been long-time friends of Stefan's, although we live in different states. 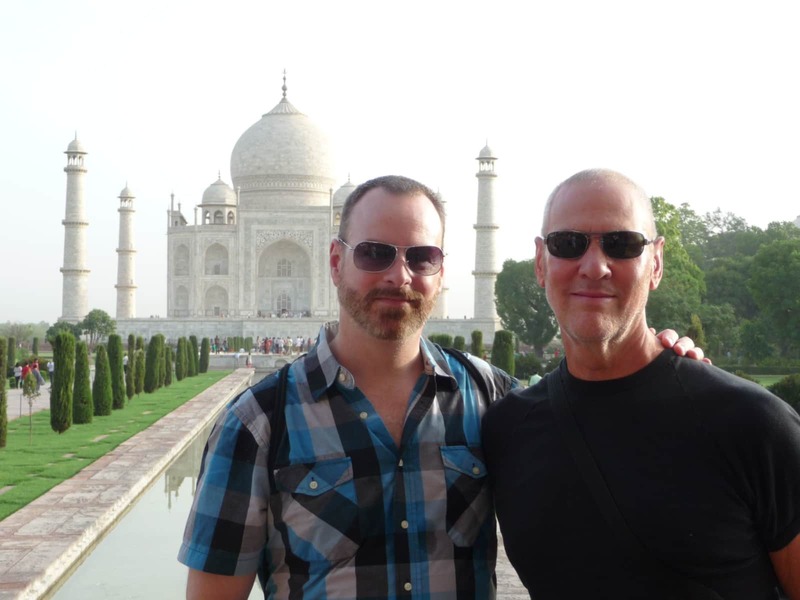 We have traveled extensively together over the years. Stefan can totally be counted on to do what he agrees to do and then some. He is meticulous and values other people's property, as his own. He is a problem solver, (given his career in the airlines). Stefan is absolutely trustworthy. There is no question that he loves animals - dogs! As soon as Stefan retired, he became a volunteer at the Oregon Humane Society. He cares about animals and their well-being, so much so, that he has educated himself in order to take care of their needs competently and humanely. We give him the highest recommendation for caring for your clients' home/pets. I have known Stefan for more than 25 years. Stefan loves animals and volunteers much of his free time to organizations that care for animals. In addition, Stefan is very resourceful and able to resolve unexpected situations that may arise with ease. Stefan has managed remote, as well as, local properties and has a good understanding of property management and working with service providers. I could not recommend Stefan more highly. I’ve known Stefan for more than 25 years. We were both flight attendants for Pan American World Airways and often flew together. Throughout our careers we developed a close friendship which was cultivated by our zest for travel. Fortunately Stefan is now able to concentrate on his love for animals, and is active in numerous programs all involving rescue, care and training. It is heartwarming to observe his patience, attention to detail, and sincere compassion for these creatures. He’s witty, kind, and respectful. I am happy to call him my friend. When Stefan retired as an International Flight Attendant a few years ago, his love of animals (he and his partner have two very loved dogs) found him joining the Oregon Humane Society where he is excelling in advance training and rescue, and working with problem dogs. He has dog sat two of mine over the last 12+ years in Mexico and California so I can personally vouch for the good care he took of them and of my homes. His knowledge of different languages and comfort and love of spending time in foreign countries (he also has a vacation home in Mexico) makes him a perfect fit as both a trustworthy loving pet sitter and conscientious home sitter in any part of the world. I recommend him highly. I have known Stefan for many years now and can only recomend him as your pet sitter. He is compasionate, reliable, caring and always helpful do make sure your pets are best taken care off. He has my full trust that my pets are in the best care while I am away. I have had the pleasure to work with Stefan at a commercial airline company as well as work on volunteer projects with him overseas. He is very hard working, well organized and a very trust worthy person. I have know him for a little over 13 years and have seen how devoted he is to his dogs. His concern for their nutrition and health has always impressed so. Most humans do not have someone that looks after them with such concern. He has continued to educate himself in how to relate and calm animals through his volunteer work with a variety of humane societies. I would highly recommend him and most importantly would trust him with my Cattle Dogs any day. Stefan has been a close friend and co-worker iof mine for nearly 24 years. He will never quite understand how much he has meant to me.....I followed in his footsteps as a flight attendant, looked up to him like a big brother, leaned on him when I needed comfort and always admired his integrity. His family has always consisted of canine and feline members. We all know how our furry friends unconditionally love us......the same can be said of Stefan’s love of critters! He also holds a special place in his heart for those animals that have been neglected, abused and unloved. Stefan’s European background shows in how he keeps house....always clean, tidy and organized. Consider yourself fortunate if Stefan looks after your pets and/or home. You can rest assured that under his watch your home and furry family members will be protected, loved and looked after.